When the Casdon Supermarket Till arrived it was a fight as to who got the first go! Of all the role play games, playing shops is by far the best and most played game in our house. The two youngest couldn't wait to get set up and start playing straight away. 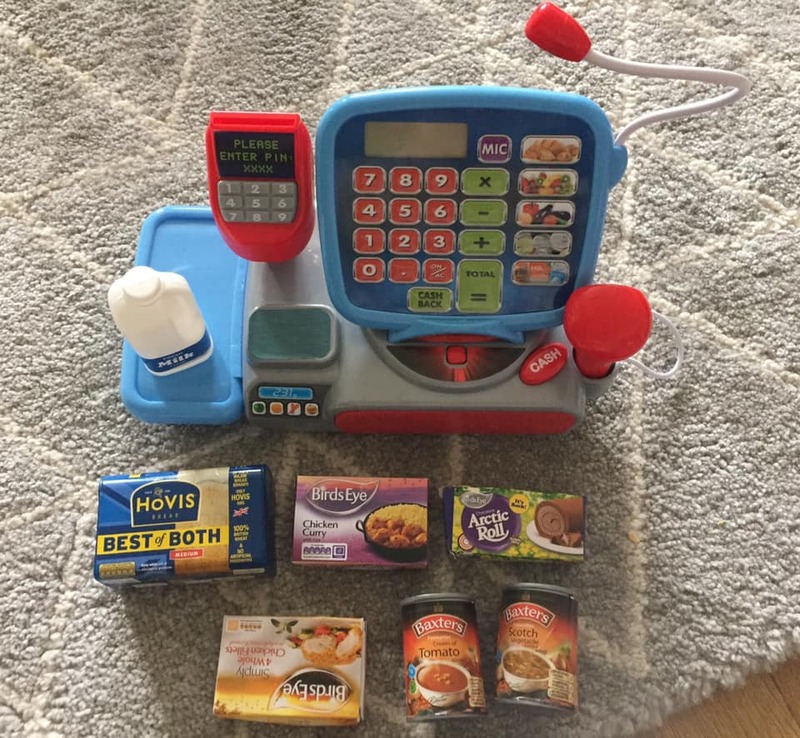 The till features a fully working drawer with money, a chip and pin machine, shopping scanner, working screen, microphone and comes with some play food too. For every till function there is a sound. 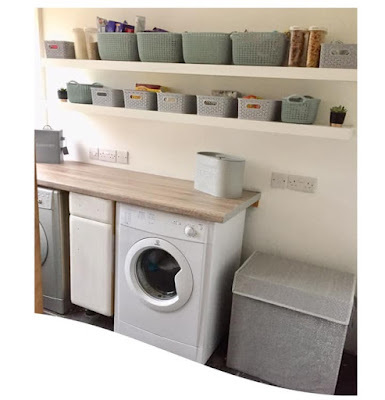 Like when the chip and pin machine is being used or you are putting prices into the till. The working microphone was also great and Thing 5 loved calling for someone to 'come and help on Till number 1'! The food that is included is a great start to the supermarket experience and then the children soon raided the kitchen cupboard for more supplies for their game. 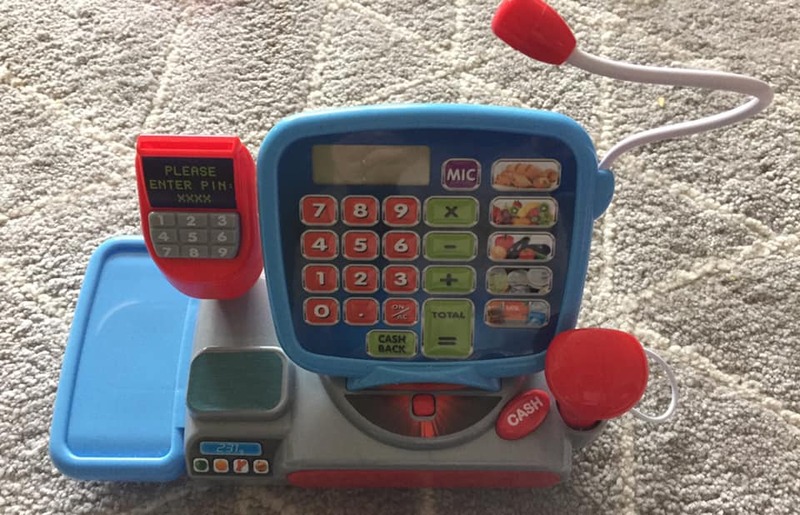 Also included is the play money so the shoppers can pay for their shopping, the till drawer makes a noise when it opens too. 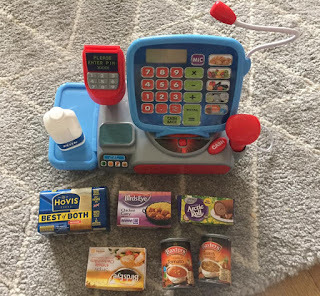 The working scanner is great for scanning the food products through, this was used lots on it's first time out of the box, I think Thing 4 loved scanning everything through the till like he sees the shop assistants do it in the real shops. 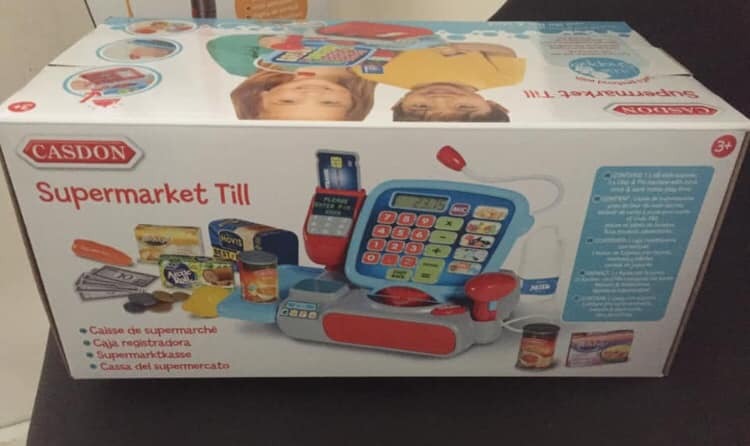 The till brought endless hours of fun for the children and it was great to see them interact and play together. Taking it in turns to be the shopper and then shopkeeper. 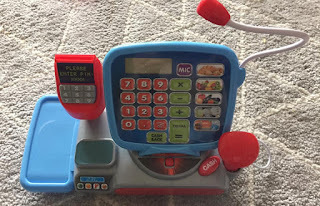 It also helped with their maths when it came to counting out coins or using the till to price up the shopping. 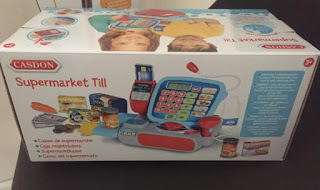 We would definitely recommend the Casdon Supermarket Till and it will be played with for a very long time. The till does require 3 x AA batteries which weren't included. The till costs RRP £17.99 retailer dependant. 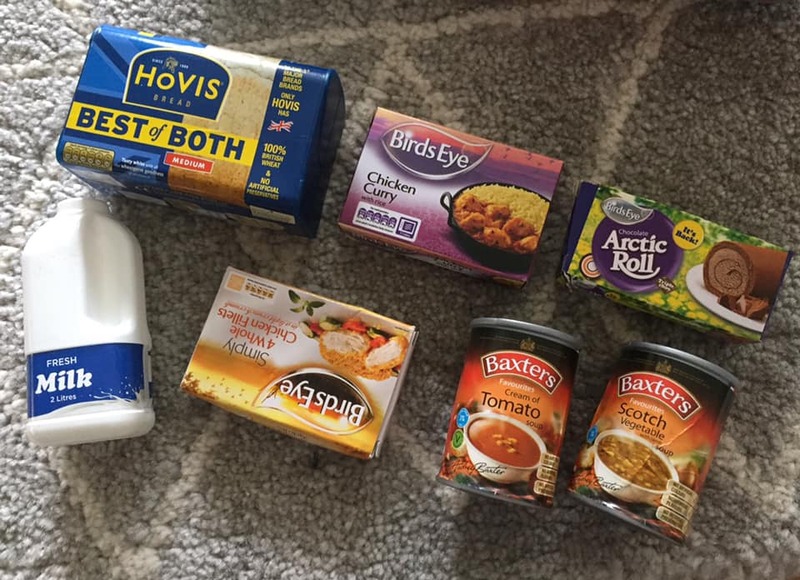 We were sent the Casdon Supermarket till for review purposes. All thoughts and comments expressed are our own. Labels: casdon, children, fun, play, review, role play, supermarket, till, toy, toy review.